The information presented on this page was originally released on January 5, 2016. It may not be outdated, but please search our site for more current information. If you plan to quote or reference this information in a publication, please check with the Extension specialist or author before proceeding. The workshop will be from 1 to 5 p.m. at the MSU Extension Service office in Forrest County. Hobbyists, homeowners, and owners/managers of local markets and pick-your-own and commercial-scale farms are all invited to attend. Preregistration is not necessary, and the $10 attendance fee will help make future workshops possible. The workshop will cover various aspects of blueberry production. Topics include disease basics, blueberry cultivars, online marketing, the Farm-to-School program and mechanized harvest technology. This program has attracted between 60 and 90 attendees each year since it began in 2012. 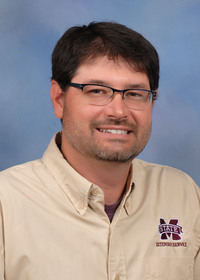 The event is cohosted by MSU Extension, the U.S. Department of Agriculture – Agricultural Research Service and the Gulf South Blueberry Growers Association. The MSU Extension office in Forrest County is at 952 Sullivan Drive in Hattiesburg.